You’ve decided that you want to improve the Usability of your ERP system, but you don’t want the responsibility for maintaining that in-house. That’s a smart choice, and something that many organizations are looking to do. Why focus on building an IT infrastructure when you can instead focus on building your business? The solution is IntraSee’s Usability Cloud. So what is the IntraSee Usability Cloud? The Interaction Hub is a mature and sophisticated portal that is the engine used for creating a one-stop usability shop. It is used by thousands of organizations throughout the world and has a proven record of scalability and reliability. 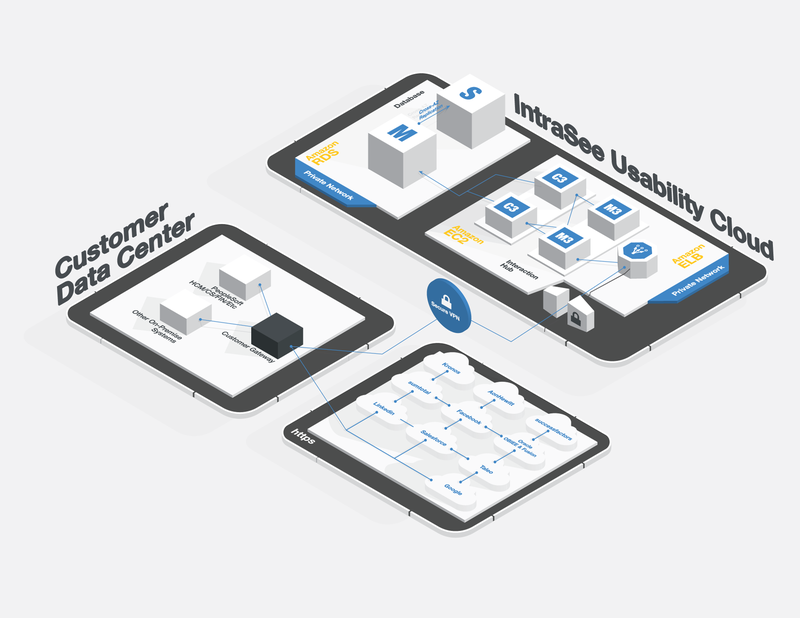 For over a decade we at IntraSee have developed usability solutions that are best in class, cover the entire needs of even the most complex (often global) organizations, and are pluggable into other Cloud applications. Our solutions are also highly configurable and beautiful by design. Selecting from an a la carte menu of options, you simply check the options you want your users to see. It’s that simple. Even selecting integration with other major Cloud applications is as simple as checking a box. Our solutions and methodology handle the rest. No headaches, no difficult decisions. We’ve spent years figuring out all the complex stuff, and have packaged it into solutions that fit neatly into a one-stop shop that can sit in the cloud. If you’d like to see what this looks like, just ask us for a demo. We’ll be proud to show you how easily you can solve all your ERP usability problems. They say you’re only as strong as your weakest point of failure. That’s why we chose the most advanced, reliable, and fastest cloud in the world. Amazon AWS. Amazon offers a true cloud environment that is unmatched. IntraSee usability with the Amazon cloud – the best of all worlds. If you already own the Interaction Hub, or any IntraSee products, we can offer you great cost savings on your monthly service fee for running in our cloud. This makes a very affordable solution even more affordable. You’ve already paid for it once, why pay for it twice? If you don’t own the full license to the Interaction Hub, don’t worry! You can start off with the included RUL license and expand into the full license when needed. Amazon Cloud (AWS) is the market leader in cloud computing and is at the forefront in terms of innovation, functionality, agility, and responsiveness. Not to mention AWS has a proven track record after years of success. IntraSee carefully analyzed each of the major cloud service providers before selecting Amazon Web Services as their provider for the IntraSee Usability Cloud based on a multitude of different factors. Your application can automatically scale itself up and down depending on your needs. Eliminate guessing on your infrastructure capacity. By using Amazon EC2 we can commission one, hundreds or even thousands of server instances simultaneously. Of course, because this is controlled with web service APIs, it can automatically scale itself up and down depending on its needs. Rapid build of new environments. Amazon AWS’s Elastic scaling across your IntraSee Usability Cloud environment helps to keep costs low by only paying for the services you need, when you need it and by passing on to you the financial benefits of Amazon’s scale. Take your environment global in minutes. The AWS Cloud infrastructure is built around Regions and Availability Zones (“AZs”). 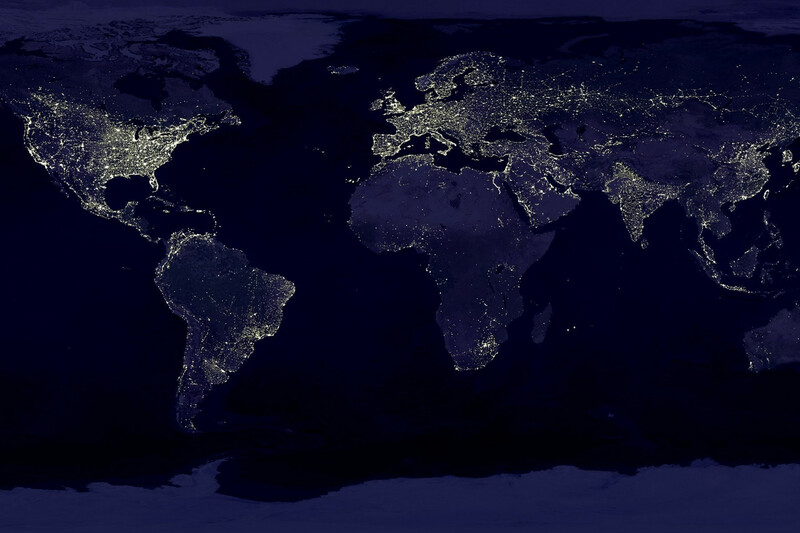 A Region is a physical location in the world where there are multiple Availability Zones. Availability Zones consist of one or more discrete data centers, each with redundant power, networking and connectivity, housed in separate facilities. These Availability Zones create the ability to operate production applications and databases which are more highly available, fault tolerant and scalable than would be possible from a single data center. The AWS Cloud operates 33 Availability Zones within 12 geographic Regions around the world. Amazon AWS is engineered for the most demanding requirements. Amazon’s experience and SLAs provide our clients the trust and confidence they need to ensure their environment will be available when needed, no matter what time of the day. Amazon provides numerous mechanisms to increase privacy and control network access. There are a multitude of secure connectivity options to seamlessly connect to your network. AWS environments are continuously audited to ensure compliance with a wide variety of regulations, standards, best-practices and certifications. Your compute instances are located in a Virtual Private Cloud (VPC) within an IP range that you specify. You decide which instances are exposed to the Internet and which remain private. The AWS cloud infrastructure has been designed and managed in alignment with regulations, standards, and best-practices including HIPAA, FERPA, FIPS, CJIS, DIACAP, DoD, FDA, FedRAMP, Glacier for SEC Rule 17a-4(f), GxP, ITAR, NIST, CSA, Data Privacy, ISO 9001, ISO 27001, ISO 27017, ISO 27018, MPAA, PCI, SOC, EU Data Protection, IT-Grundschutz, G-Cloud, Europe Cloud Compliance, Malaysian Privacy Considerations, MLPS, MTCS, Singapore Privacy Considerations, IRAP and New Zealand Privacy Considerations. While Amazon is sophisticated and mature, rest assured you will never have to deal directly with any of their technology stack. That is where IntraSee comes in. The entire infrastructure is maintained on your behalf. Also, our vast implementation experience tells us that to deliver best-in-class usability, you need a best-in-class infrastructure. With the IntraSee Usability Cloud, we are uniquely positioned to offer the high-quality service in the Cloud that we are known for from our “in-house” implementations. Gone are the days of needing to explain to your hosting provider how PeopleSoft works.